Homeopathy is a therapeutic system of medicine that is based on the principle that like cures like – which means that a substance that can cause certain symptoms in a healthy person can cure similar symptoms in an unhealthy person. Homeopathy was established in Tasmania in 1867, by an English doctor, Mr T Atherton. At the height of its popularity in Tasmania, in the 1890s, homeopathy was practised by several doctors, two of whom were members of the Medical Council of Tasmania, and there were homeopathic hospitals in both the north and the south of the state. The principal exponent, Dr Harry Benjafield, not only ran a thriving medical practice, a eucalyptus factory and a fruit export business but also developed vaccines. In 1881 he employed HT Gould, an English pharmacist familiar with the preparation of homeopathic compounds, to work in his dispensary. 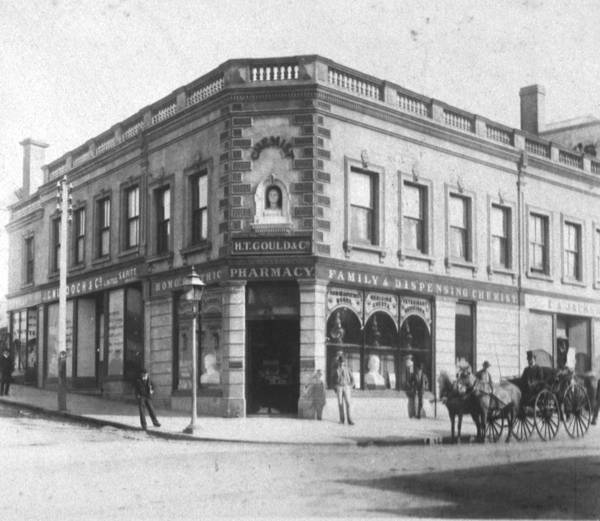 Gould later established Gould's Homeopathic Pharmacy, which operated until 1999. The homeopathic hospitals were opened because public hospitals refused to introduce homeopathic wards or teach trained nurses. In 1931 the Depression, and a shortage of homeopathic doctors, meant the Hobart Homeopathic Hospital was handed over to the Anglican Church. The Homeopathic Hospital in Launceston continued to operate until 1951 when it too was handed over to the Anglican Church. Although homeopathy has since been overshadowed by the success of pharmaceuticals and biomedicine, a loyal clientele has always existed in Tasmania. This was due initially in part to the availability of a complete homeopathic medical system and in part to the success of home sales, including the popular homeopathic medical kits that were widely distributed in country areas. In the past twenty years interest in alternative medicines and health systems has had a worldwide renaissance, including a renewed interest in homeopathic remedies. Further reading: J Finch, Pills, potions and politics, Hobart, 1991; W Rimmer, Portrait of a hospital, Hobart, 1981.